Smooth full body oil paints for uniform consistency. * Use colors full strength for bold opaque coverage or mix together for more color tints. * Create thick texture with a painting knife instead of a brush. 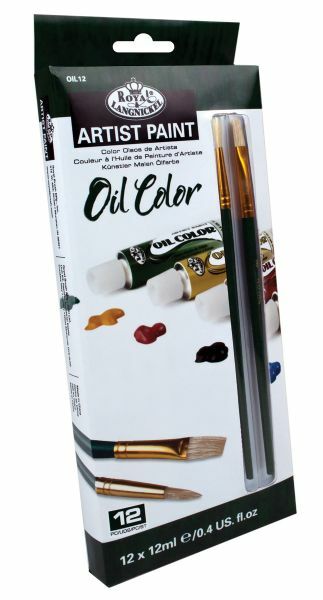 * 12-color set includes zinc titanium white lemon yellow yellow ochre scarlet vermillion ultramarine blue phthalocyanine blue emerald green viridian burnt sienna burnt umber and black plus one flat paint brush and one round paint brush.Colors may vary.